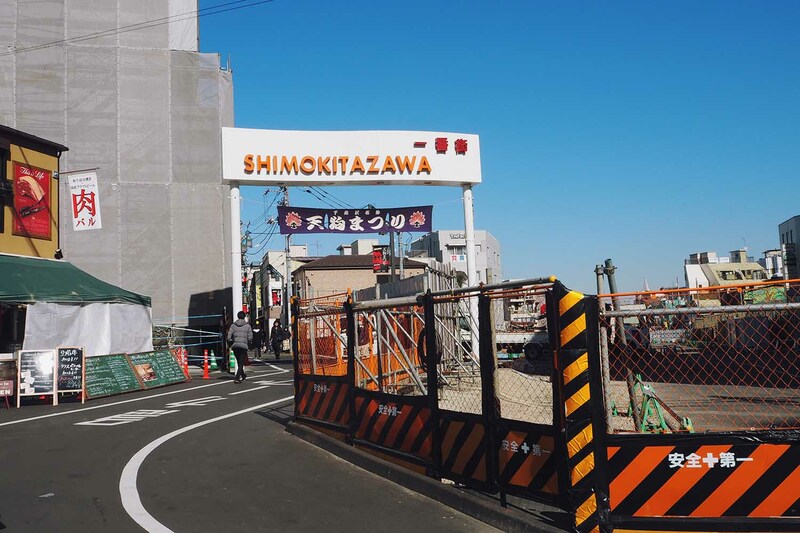 Shimokita-zawa has been on my radar for some time now and since it was my fifth time in Tokyo, I thought it’d be good to venture further out and hit the less mainstream destinations. After a while, Shinjuku and Shibuya can get a little too crowded for my liking – I don’t want to spend my holiday by being in a human sandwich, thank you very much. That said, Shimokita does attract its own unique following, especially on weekends. 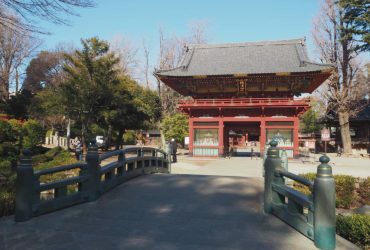 But the good news is, its not very far away from downtown Tokyo. In fact, it’s only 4 stops from Shibuya on the Keio-Inokashira Line. You’ll mostly find vintage secondhand shops in Shimokita – it’s like Cat Street in Omotesandō but less crowded for sure. As you walk around Shimokita, you’ll also find that there are so many quaint back alleys that hold hidden gems like small Japanese designer fashion brands. The shopping there is not particularly cheap but it’s worth visiting especially if you enjoy a more relaxed atmosphere. 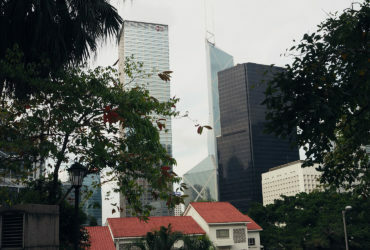 It is an area frequented mostly by the locals with the exception of a few foreigners/tourists. So I’ve been watching Paolo from Tokyo for almost a year now and I quite like his YouTube videos. His style is to list all the best things to eat and do for a particular location, which I appreciate because I love lists (lol). In his video about Shimokita-zawa, Captain’s Donut caught my eye. Personally, I’ve not seen donuts being served with ice-cream so this was already really special in itself. I made it a point to visit the store whilst walking around Shimokita. 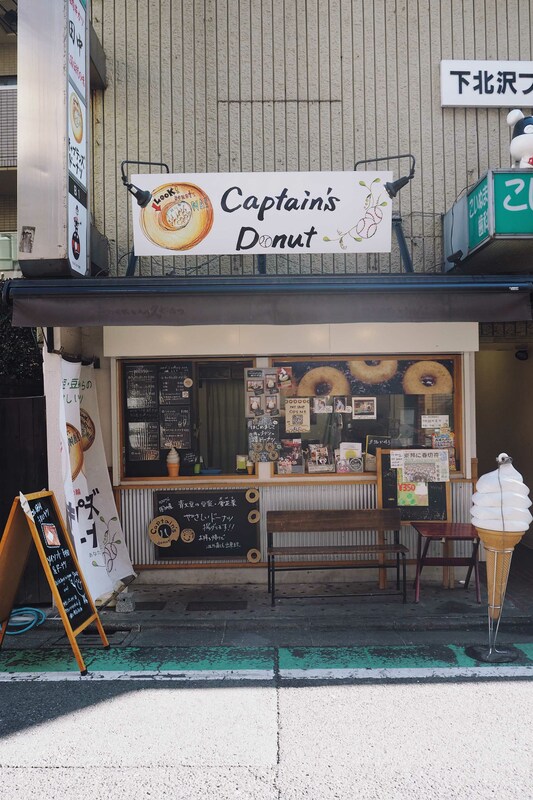 Captain’s Donut is just a two-minute walk from Shimokita-zawa Station. You won’t miss the cute, quirky exterior. Besides, the smell will lead you to it. But be forewarned that there are no seats save for the small bench at the storefront. 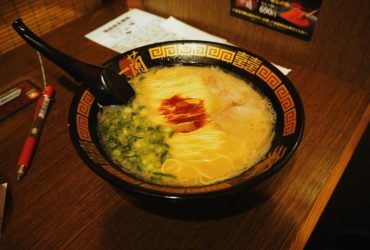 This is literally street food – however, Japanese people do not eat while walking so I would highly recommend munching in a corner before you continue exploring the area. Captain’s Donut is made with soy milk, giving it this light and delicate flavour that is unlike any donut I’ve ever had before. At first glance, the donut looked really dense. But since the donuts are freshly fried, you get a lovely balance of its crispy exterior and fluffy centre. 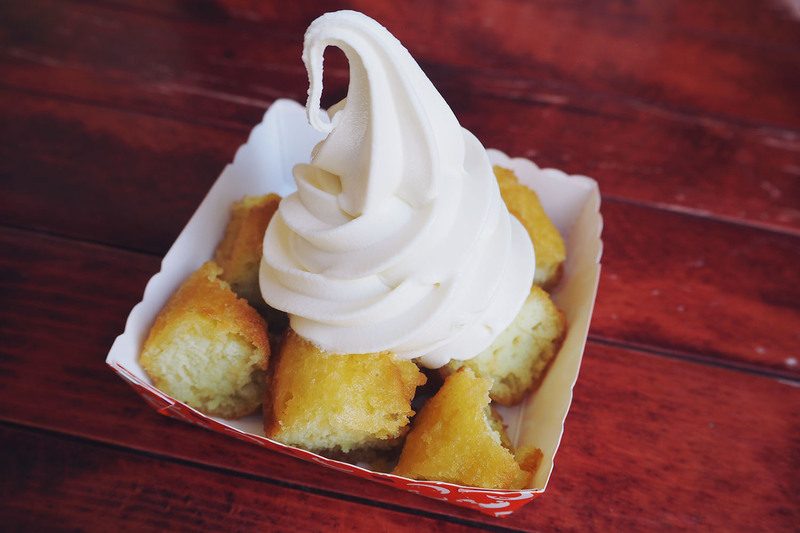 Now here’s the mindblowing part – the signature donut is served with a soy soft serve. You heard that right. Soy soft serve. You’d think that this means the dessert in its entirety tastes really healthy. Nope, they have somehow managed to make the soft serve taste so milky and creamy, it totally blew my mind. (What is this sorcery Japan?!) The coupling of the donut with the soy soft serve is so heavenly! It’s crazy how simple the combination is and yet it’s so wholesome and delicious! Since everything on the menu is made with soy, it’s healthy right? You can eat as many as you want! HAHA! Jokes aside, if you’re ever in Shimokita-zawa make this place a priority to visit. You will not regret it!